Today was just another average Wednesday. Hump day. Go back to work day. (I took yesterday off.) Just average. Until I came home to see my article had been published in MidWest Outdoors Magazine. I had a feeling they were going to accept it based on the feedback I'd received, but was ecstatic to see it in print! The story is titled "Brothers Through Thick and Fin - A Muskie Brotherhood." I had a feeling it would sell because it has a few key elements that make for a good story. There's the family element, some great fishing stories and pictures, and of course an incredibly sad sideline to it all. It is the fourth article I've had published with this Magazine and they have all been paying acceptances. I can't say enough about the magazine, only that it is a must for outdoor lovers in the MidWest region. The picture below was one of the 4 pictures in the piece. 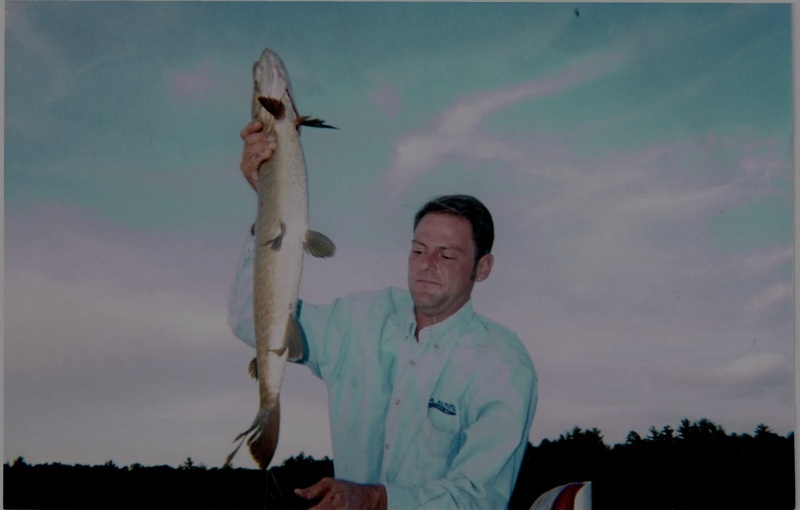 It is my brother Paul holding his first muskie in 2005. Also coming in the mail in the next day or so is my poem "Going Back" that was accepted in Torrid Literature's VII issue. It is one of those sing/songy ryhme-y poems I talked about in the preceding blog post to this one. It is not really my style, but the thing that makes that poem stand out was the formatting of it. It reads like a winding river, and it is about canoeing, so it makes for a nice format. Again, just glad to see it in print and am overwhelmed by the good luck I am having lately on the publishing front. Much of the credit goes to my friends and instructors at AllWriters'. They keep me on track and on task and are my biggest fans at the same time. I love them. So, what else am I working on? First and foremost I'm putting the finishing touches on my final edit of my BWCA Memoir. I actually hit THE END the other day and am a week and a half from having my colleagues critique the final chapters as well. Then the real work begins. These are exciting times and I can't wait to get it out there and published. It is my biggest dream at this stage of my life. I'm also writing poetry on occasion. I just finished a piece about computer struggles and one about mom. I have to be inspired to write poetry. It's hard to explain, but memoir comes at any time. Poetry requires effort, thought and inspiration. 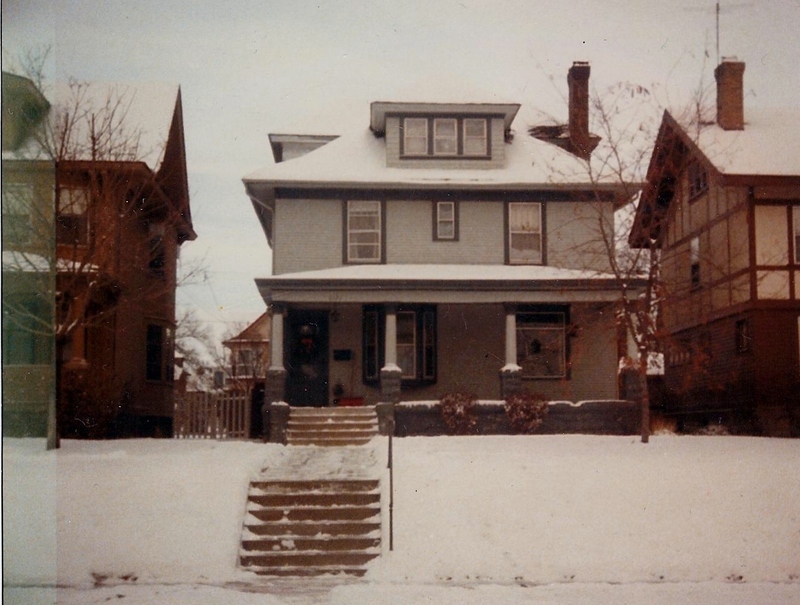 Creative nonfiction does too, but, well, it's just different. My boyhood house stories get attention once in a while when I'm needing a break from other things. I'm working on getting a few of those published as stand-alone nonfiction pieces. Some great memories and many them are pretty humorous. I can't wait to dive back into them in full force. I think my next outdoor piece for submission to MidWest Outdoors will be about the trip I took with my kids and their cousins to the Root River in South Central Minnesota this past spring. I've had good luck with that magazine and am going to keep at it as long as I have material. I'm hoping to have a successful Muskie fishing outing in August and October this year to give me just that. At a book signing by author Michael Perry I got a little star-struck when he signed his book. I babbled something about working on my own memoir, blah, blah, blah. He just smiled at me and said "Well, just keep pluggin'"